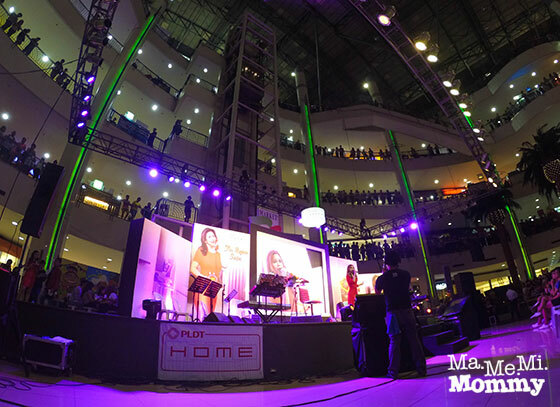 Since last month, Asia’s Songbird, Ms. Regine Velasquez, has been going around the metro delighting fans, both young and old, with her majestic voice in PLDT HOME’s 5-mall concert series. 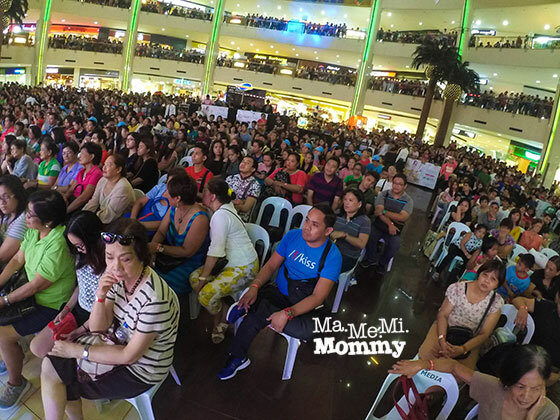 Regine Series Mall Tour kicked off with a bang last June 14 at Robinsons Magnolia in Quezon City. Performing to a large crowd of enthusiastic fans , Regine certainly did not disappoint as she showcased her vocal prowess on stage. The Regine Series Mall Tour features a series of promotional mall concerts with Regine Velasquez as the main act along with a live band and exciting special guests with musical direction by no less than Raul Mitra himself. Boasting of a talented lineup of performers, The Regine Series Mall Tour is an event no one should miss out on. Market! 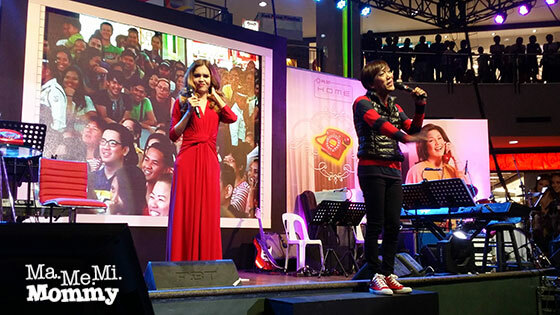 Market!’s activity center was transformed into this concert stage, ready for Asia’s songbird. Look at the throng of people who came to watch! Yey! She’s here! She’s here! 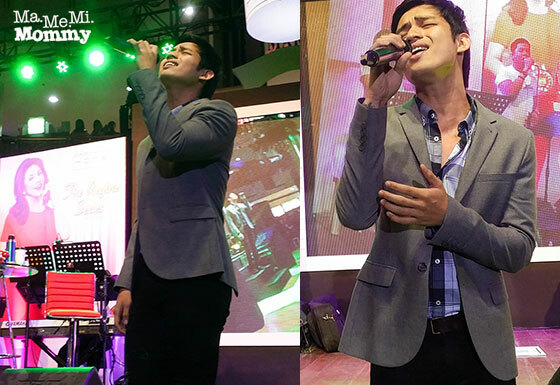 Another special guest was Michael Pangilinan, who wowed the guests with his passionate singing. What an incredible voice! 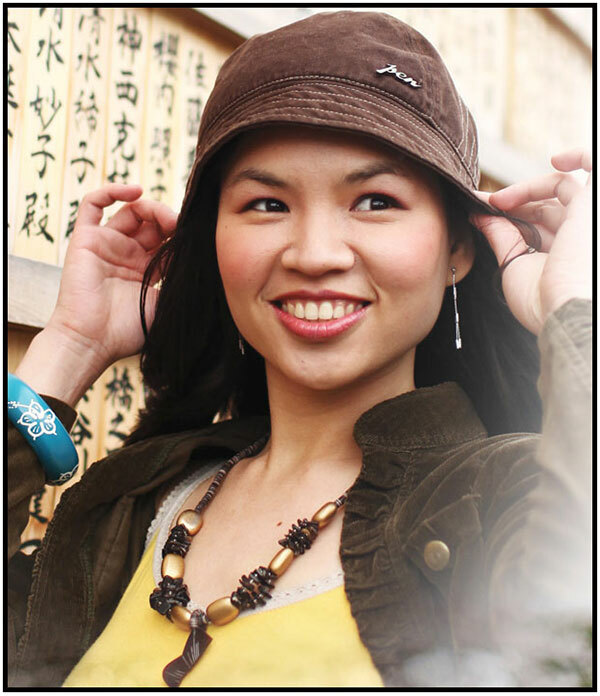 She sure is not Asia’s Songbird for nothing! Admission to the Regine Series Mall Tour is free and open to the public but if you want special seats during the show, just sign up for a Regine Series Telset and get the chance to be up front and center! Fans are definitely in for a treat at every show. 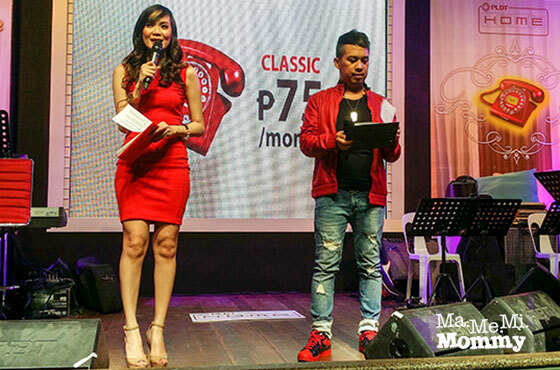 For PLDT subscribers who sign up for the Regine Series landline units, special seating will be provided. I am a fan of Regine. She’s always been an amazing performer! Cheryl recently posted…Prismacolor Colored Pencils, Finally! Ohhh. I love the classic one too. Just not sure if I;m willing to pay a monthly extra fee for it. Hehe. i want to upgrade my landline!! Regine is still my favorite singer in the Philippines, and I miss her recording albums. Me too. I hope she records a new one soon. Awww sayang, that’s the last venue already for this mall tour series. Love Regine but I love the landlines even more! Kinda expensive though but super pretty. Awesome! I will definitely see her on the 18th at Trinoma! Big fan here! Ooh, I love the Classic one, kaya lang Globelines kami, haha. I love Regine and for me her songs are classic. I’m considering the Classic phone just seeing if the red will go well with my stuff! I wish that I will be able to see her in person. I’m a fan. Regine fan here. Asia’s songbird will always be among the best singers we will ever know. Walang kupas si Ate Reg! Saw lots of posters about this in Trinoma. Sayang, I missed it. Haven’t watched Regine Velasquez perform live.